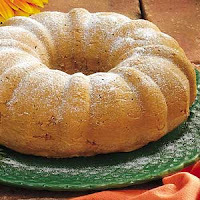 This recipe from Taste of Home is incredibly easy and yields a moist and tender cake. I used an MSPI-friendly yellow cake mix (several Duncan Hines mixes are safe) instead of the white cake. And since I was going the yellow route, I went ahead and opted to use two eggs instead of one egg and two egg whites. Do what works best for you!